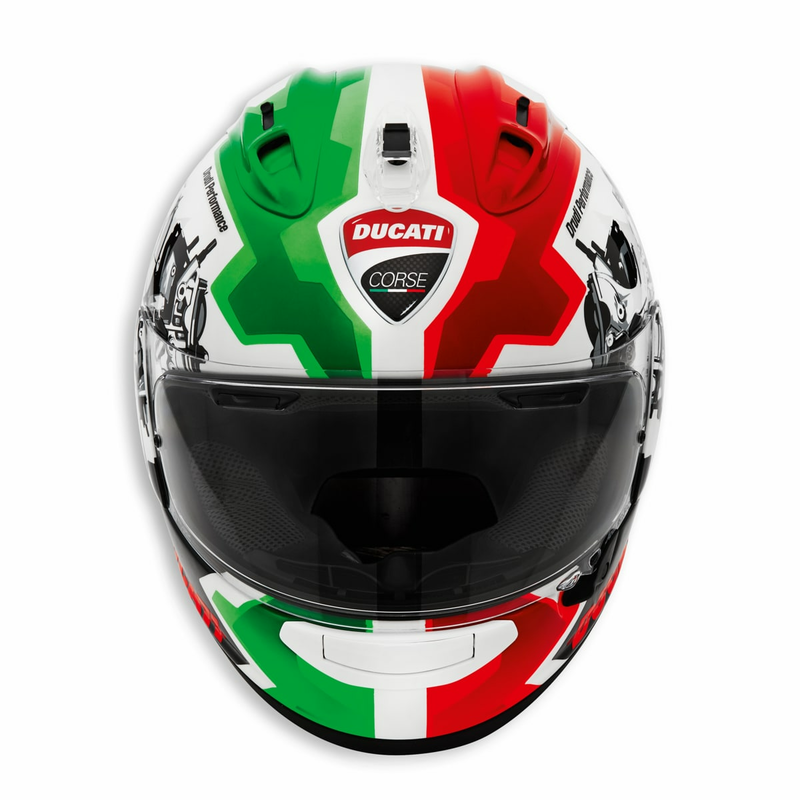 Boasting an aggressive look and unmistakable artwork, the new Ducati Corse V2 helmet designed by Drudi Performance exclusively for Ducati is made by Arai based on the RX-7 V model. It is the top of the line when it comes to safety, comfort, and performance. 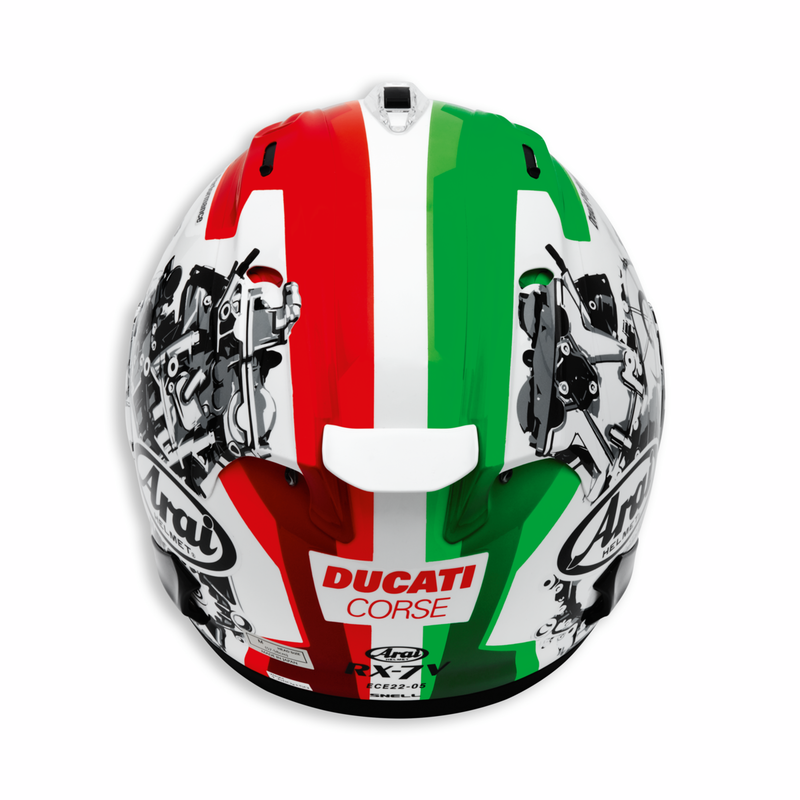 Ample field of vision at any angle for sport riding, shell reinforced with composite fibers, car-inspired visor opening, and ventilation optimized for maximum stability and efficiency at high speeds are just some of the unique characteristics of this top-of-the-range helmet that boasts sketches of the 1299 Panigale engine. 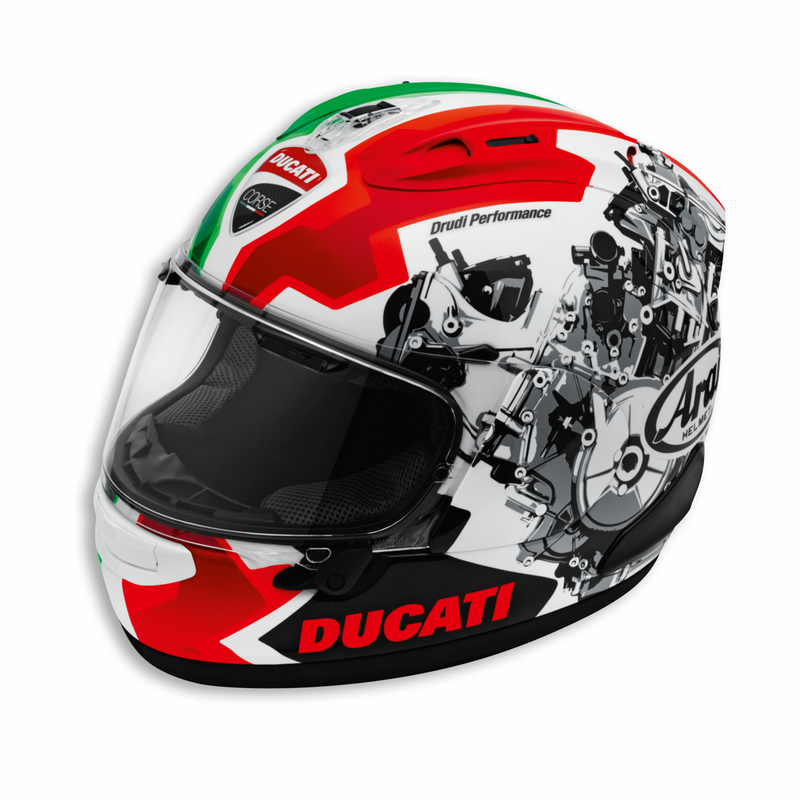 The helmet is supplied with clear and light smoke visors. Reference model:ARAI - ECE RX-V; USA Corsair-X; JAP RX-7X.